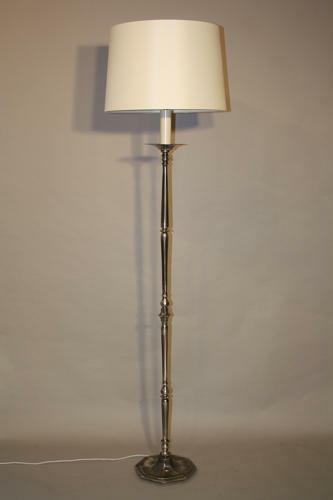 Delicate stemmed octagonal base silver metal floor lamp with cream shade. Spanish c1950. Height with shade: 153cm and without 134. Rewired and PAT tested for UK use.